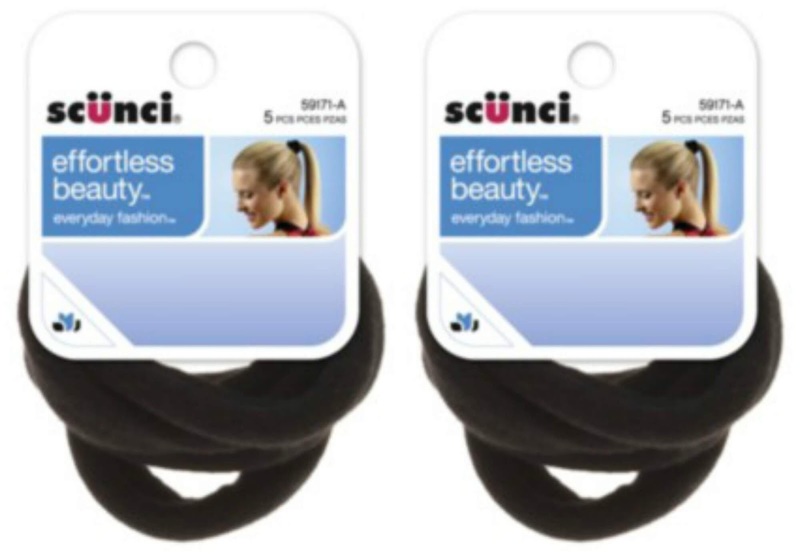 Scunci Ponytail Wraps Just 45 Cents Per 5-Pack! Need some ponytail wraps to get your hair off your neck during this heat wave? Scunci Effortless Beauty Black Cloth Pony Wraps -- 5-count packs priced at $1 each. Use the 30% off yellow coupon available in stores through 6/12. Pay 70 cents out of pocket for your 5-pack. NOTE: Check your Ibotta app for a *possible* rebate good on 25 cents off ANY receipt. If you have it, your final price drops to just 45 cents!